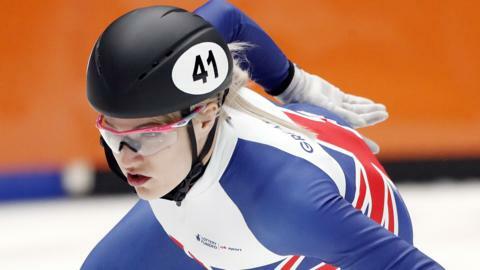 Britain's Elise Christie wins silver in the 500m at the final speed skating World Cup of the season in Italy. Great Britain win mixed relay bronze at the Dresden Short Track World Cup as Elise Christie misses out on individual medal. Elise Christie returns to speed skating as the British mixed relay team fail to qualify from their 2,000m heats in Canada. Funding for the Beijing 2022 Olympic and Paralympic cycle is a "good news story" for winter sports despite £8m cuts, says UK Sport. A South Korean athlete who says she was physically and sexually abused by her coach tells her story. Plan your viewing from Pyeongchang 2018 with our full schedule of every event at the Winter Olympics. The Britons, the medals, the highlights - everything you need to know about every day of the Winter Olympics in Pyeongchang.